As ProducerLoops.com is the world's largest marketplace for sample packs and loops, new sample labels often ask our team for advice on how to succeed in this niche but competitive sector of the music business. 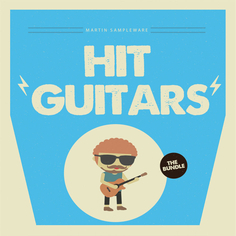 In fact, one such email from one of our newer labels gave us the idea of writing this guide to creating a bestselling sample label. If you make your own beats, can play an instrument or mainly create your own music from live recordings at home or in the studio, you've probably got what it takes to get started. 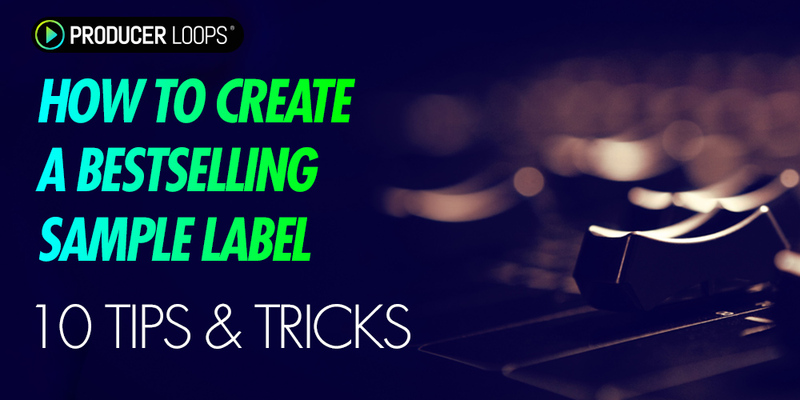 Whether you're thinking about setting up your own sample label or are already selling your loops, sample packs, Construction Kits or VSTi presets online, we hope these tips and tricks will help your sample label sell more products. How many files are typically included in a sample pack? How much do sample packs usually cost? What genres are popular right now, how about over the last couple of years? How many VSTi presets are usually included in a bank? What about including dry and wet files? MIDI? Who are the other labels operating in my genre(s)? How long should my demo mp3 last? Is there a gap in the market that my packs could fill? If you are a regular user of sample packs, you're at a distinct advantage. You'll probably know the answers to the above questions and will know what customers expect from a sample pack. The bottom line is, if you want to create the best sample packs, create the packs that you would buy if they were created by someone else. You'll never get your label onto a sample store if your approach is unprofessional. You're trying to build up a good business to business relationship with that store, so act like a business. First impressions matter. Start by introducing yourself and your label. Explain what genres you produce in, what kind of products you create and why you think your label would be a great fit for their sample store. Don't attach a sample pack to an email as it probably won't arrive in the sample store's inbox. Instead, create a Dropbox folder with one or two products in it, your mp3 demos, your product descriptions, your product images and your logo. Be patient when waiting for a response and if you receive a "no", don't take it personally, it just means your label isn't right for that particular store or your production skills may need some improvement - try again a year later if this is the case. If you've successfully managed to get your label onto a sample website, now's the time to start thinking like a business. You run a new sample label so every customer is taking a punt by even listening to your product mp3 demo because they haven't heard of you before. To even get a customer to the "demo listening" stage, you need to engage them with the tools at your disposal - these are your price and your product image (more on this below). You don't have the luxury of having built up a quality brand or following yet so you need to at least get a foot in the door by being very affordable. Look at the average price of products by successful competitors in your genre. Position yourself at the lowest end of this scale. You can slowly increase your prices to the middle of the road when your label starts to become more successful. You've done all the hard work creating the sample pack, why do yourself a disservice by scrimping on your opportunity to big-up your creation and inspire customers via its product description and artwork? Think about your own experiences of shopping online. How likely are you to purchase a product if the artwork and product write-up are unprofessional? Your music doesn't always speak for itself. Customers (and sample site managers) are more likely to perceive that a sample label has put time and effort into their end product if they have also put time and effort into their product image, label logo, and product descriptions. If you're not much of a graphic designer but have a copy of Photoshop, check out Creative Market for customisable PSD templates. We've found that their Flyers section is a good place to start, as many of the flyers are for music events, so the graphic themes are generally the same as those for a sample pack in the same musical genre. The templates can cost even less than the amount you will make for just one sample pack sale, so it's not expensive to invest in your brand's image. The same goes for your label's logo - try Fiverr or any other freelance site to get a professional logo. It's a cheap, one-off expense that goes a long way to making your company look more professional. Coming back to point 2, "The Approach" - having high-quality branding is essential when you are approaching sample sites, hoping to join their platform. Large sample sites such as Producer Loops rarely choose to work with producers who don't treat their label like a business. Put simply, if your label's artwork and product descriptions are poor, you will find it extremely difficult to be accepted as a seller on the majority of sample sites and customers will perceive your sample packs as poor quality. A bad product description just makes unsubstantiated claims, like "This is the best trap kit out there". A good description describes what hardware was used, what or who influenced and inspired the pack, what exact sounds are in the pack, down to every nuanced loop, and how many there are of each. Even better? Describe why you made those particular sounds and suggest how your loops and samples might be used. This way the customer has a clear impression of the pack as well as getting a glimpse of your enthusiasm for it, which can't be faked. If you aren't enthusiastic about it, don't release it. If English isn't your first language, writing really isn't your strongest suit or you simply want your label to seem ultra-high-quality from the off, it's time to hire a copywriter (again, try freelance sites). If you've done your research, you should already have highlighted a few genres and product styles that sell well. But it's important to resist the temptation to jump on the latest genre craze unless that genre craze is firmly in your preferred genre space. If you're a House producer, chances are it's going to take you a longer than average time to create a high-quality Reggaeton sample pack. That's because you'll have to learn the intricacies of the genre, find sounds that will work in Reggaeton productions, and brush up on what's popular in the mainstream download and radioplay charts to ensure your pack is relevant etc.. By that time, the genre could have come and gone. However, if Jungle House emerges as a genre, well, you've already got the "House" side of things covered, so it shouldn't be too much of a learning curve for you to create a Jungle House sample pack. We're not saying to avoid experimentation but just bear in mind that genre crazes come and go - case in point, Dubstep and Tropical House sample packs. You'll make much more money in the long term by creating timeless sample packs that will still be relevant in years to come. When your label is established and perhaps has a few producers on board, then you can afford to create products quickly in order to follow genre trends. Releasing one pack every 2 weeks is a good target for someone working full-time on sample packs. At the very least, you should be releasing content every month in order for the sample site and its customers to be reminded that your label exists. Bear in mind that your sample label is already in competition with every other sample label out there, so don't put your label in competition with itself by releasing your sample packs too close together. The last thing you want to do is spend a month creating two Techno sample packs, and then release them both at the same time. Customers may only be in the market for one Techno sample pack, and particularly as your label is new, they may be unlikely to take the plunge by buying two of your packs. The result of releasing similar content too close together is that your sales are spread out across two sample packs, which dampens the effect of each, making it less likely that either product will enter the bestsellers chart. Only release products within two weeks of each other if their genres are completely different and unlikely to attract the same customer base. Resist the temptation to launch your latest product on all the sample sites at the same time. 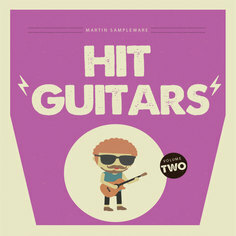 The key to getting a bestselling sample pack is to concentrate your sales and marketing on one sample store. Offer your preferred sample store (ie. the one where your products sell the most) an exclusive on your new pack, in exchange for some promotion from their side. By promoting your product on just one sample site via social media etc. you will be directing potential customers to one place. Higher sales volumes in one sample store = a higher chance of your product entering the bestsellers chart on that sample store. This increases your product's exposure and perceived quality, thus even more customers will purchase your product. And the next product after that. Customers love being one step ahead of their competition by having the freshest sounds and samples - and Exclusive products tie in well with this mindset. Once you've released a few packs, smell what sells. Look at which of your releases have performed the best and make more packs like those or create another volume in a popular series. Try to figure out what went wrong with your least successful packs. Common reasons for a sample pack performing badly include; not enough content, too short of an mp3 demo, not enough info in the product description, too expensive, bad artwork, misses the genre's key sounds, uninspiring mp3 demo, being released at the same time as a similar but better product from your own label or the competition... the reasons are endless and this can be a fickle market. Use every sample pack you release as a learning experience to follow on from your strengths and improve on your weaknesses. Using a loss leader is a well-known marketing tactic used by large companies (think Best Buy in the USA or Currys in the UK). A loss leader is a product which is extremely low-priced and thus generates a loss in profits or offers a very narrow profit margin.....Wait. Stay with us. The point of a loss leader is that although the product in question doesn't generate much profit, this is more than cancelled out by customers also purchasing other products which will earn you a profit. In the context of sample sites, a loss leader is designed to get people familiar with your label. For example, price a product at £12 then discount it by 70% so it is basically a steal. Make sure this product is EXCELLENT as it's your chance to achieve repeat customers for your other products, which are going to generate you a profit. If your loss leading product is good, it will do well in the sample store's chart and your label (and all its products) will sell better. Again, it's about getting a foot in the door and getting customers to take notice of your brand new label. If the thought of a loss leader makes you anxious, consider other offers. On Producer Loops, we offer Multibuy deals, meaning customers can get one free sample pack if they purchase one or sometimes two other products. This offers the customer an incentive to check out your label, as they are getting such a great deal on a number of sample packs. 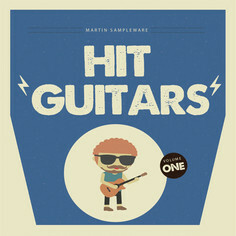 The aim is to secure repeat customers and this can only be achieved by creating high-quality sample packs, every time. If a product has a great mp3 demo, beautiful artwork and a fantastic product description - but the samples are garbage - you might sell some products but you won't ever sell to those customers again. If it's a loop, it should loop. No pop or clicks when the sample repeats. Label files with key and tempo. Fade off the end of one-shots so that there are no transients at the end. Export your samples to the nearest full bar so that DAWs can easily pick up their BPM. Use a sensible and user-friendly folder structure and filenaming process. Don't export at the volume level you made the sound in the mix unless you're selling stems. Having to increase the volume from -25db to a useable volume will put customers off. Normalise your samples to around -6db. Ensure you have 100% copyright clearance - sample sites will drop your label and customers will be furious if it turns out you don't hold the copyright to your samples (and thus cannot grant the customer a licence to use the samples) because you pinched them off another sample label! That's it! Follow these simple steps to give your new sample label the best start possible.